Olivia Bromley trained at Oxford School of Drama. Olivia can currently be seen as series regular Dawn in Emmerdale (ITV). Her theatre credits include Spent at Soho Theatre, Virginia Woolf in Rhythm of Silence at Bath Theatre Royal and Interrobang at the Arts Theatre for the Vanner Collective. She performed in Othello and Titus Andronicus for the all-female company, The Smooth-Faced Gentlemen, and regularly works with Action To The Word, most recently performing in A Midsummer Night's Dream at the National Theatre and Latitude Festival. 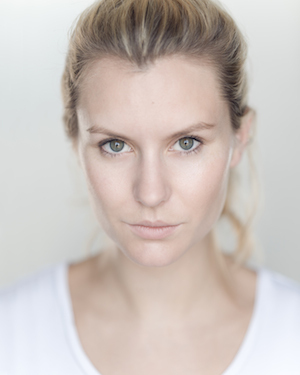 She appeared in the lead role of Roz/Lisa in Gold Coast at Theatre 503, directed by Eloise Lally.